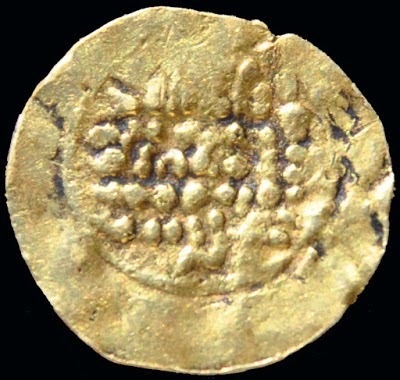 An eighth-century coin of Offa, Anglo-Saxon king of Mercia, based on a gold dinar of the 'Abbāsid caliph Al-Mansur struck in AD 773/4. 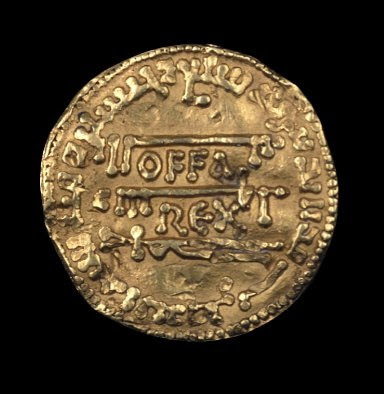 Note, the legend OFFA REX is upside down relative to the Arabic (image: British Museum). 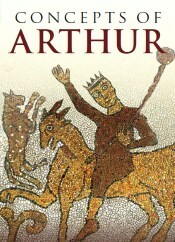 The distribution of Islamic gold and copper coins of the eighth & early ninth centuries in England and western Europe, both genuine and contemporary imitations, including two notional eighth-century dinars located at London to reflect the prototypes of the Offa dinar and the second Anglo-Saxon imitative issue, discussed below (drawn by C. R. Green). 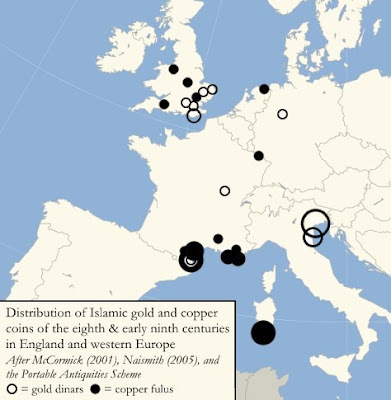 The map is based primarily on data from McCormick, 2001 (for the European coins), Naismith, 2005, and the Portable Antiquities Scheme (for the British), with the addition of EMC 2007.0235, an Abbasid dinar of al-Mahdi, dated 784/5, from Brandon, Suffolk. It is worth noting that copper fulus are a very rare find indeed in eastern and northern Europe and they appear to be largely unrelated to the Viking use of Islamic silver dirhams; as such, the eighth-century copper fulus from Britain that are plotted here most probably arrived in the pre-Viking era with the gold dinars, rather than with the silver dirhams brought to Britain by the Vikings in the later ninth and tenth centuries. With regard to these early Islamic gold and copper coins from England, they are thought to have a separate, pre-Viking origin to the Islamic silver dirhams found in England, which are believed to have mainly arrived with the Vikings. 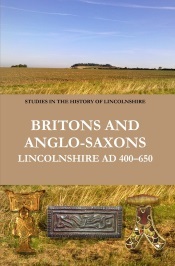 As such, they may well constitute evidence of trading between pre-Viking England and at least the Mediterranean world, and thus offer some further potential support for the second interpretation of Offa's dinar noted above. Moreover, in this context, two points are worth noting. 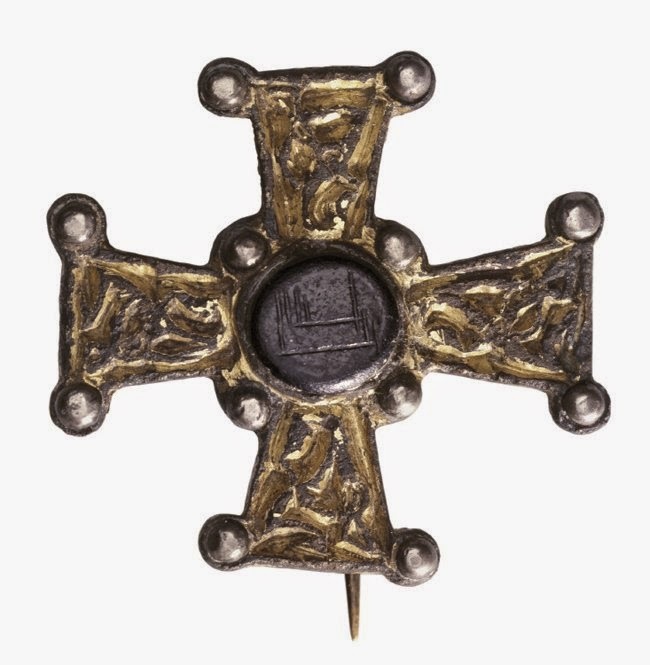 First, an eighth- or ninth-century Anglo-Carolingian cross brooch with an early Arabic inscription in its centre, illustrated above, was found at Ballycottin Bog, Co. Cork, Ireland in the nineteenth century. This brooch is highly intriguing and it has been suggested that it was, potentially, an item worn by a ?Carolingian trader of that era who personally traded in both Ireland and the Islamic world (presumably Iberia) and so desired an object that referenced both Christianity and Islam. 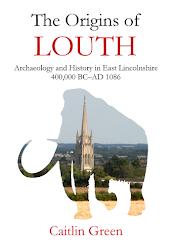 Needless to say, if such traders were visiting eighth- or ninth-century Ireland, then it seems very likely that they were visiting England in that era as well, and it is moreover credible that Anglo-Saxon merchants could themselves have plied such a trade route too. 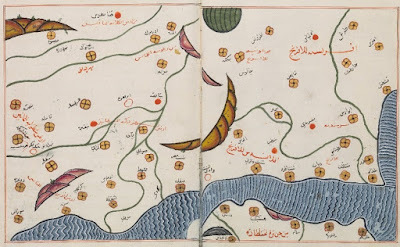 Such trading links may also underlie the apparent reference to trade with ninth-century Dublin in the Nuzhat al-Mushtaq of the Muslim cartographer Al-Idrisi (produced in Sicily c. 1154). 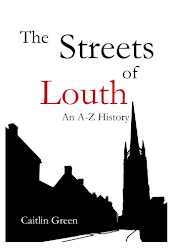 This draws on an earlier Arabic work entitled the Book of Marvels, which mentioned abandoned towns in Ireland and stated that 'ships used to put in there and visit there, buying from the inhabitants amber and coloured stones'. This allusion has been plausibly read as 'a clear suggestion that amber (whether raw or worked) may have been exported from Ireland (presumably Dublin) to Muslim Spain' in the ninth century, before the abandonment of Dublin by the Vikings in 902. Second, the Offa dinar does not stand alone. There are, in fact, a number of imitation dinars of the same period now known that have no additions of the type seen on the Offa coin. These are thought to have been struck in Carolingian Europe, probably in the reign of Charlemagne himself, and it has been suggested that the Offa dinar was actually copied from one of these Carolingian imitative issues. Also of considerable interest is another imitative gold dinar that does have additions made to the design, in the form of three small crosses. This coin imitates an 'Abbāsid dinar of 789–90/792–3 and is thought to be most probably another Anglo-Saxon imitative issue, presumably struck either by Offa (r. 757–96) or possibly by Coenwulf of Mercia (r. 796–821). 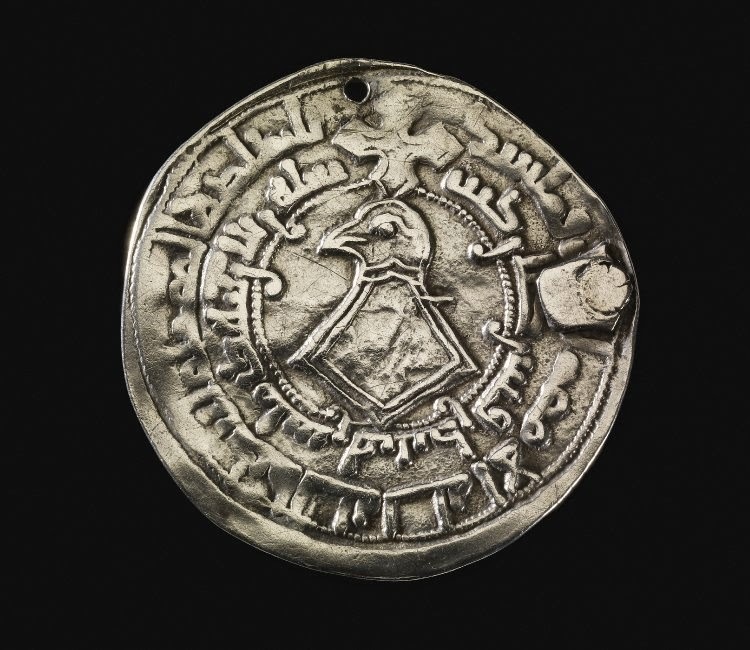 Needless to say, the Anglo-Saxons and the Carolingians were not alone in deciding to strike coins that imitated Islamic coins in the early medieval period, and the remainder of this post illustrates a selection of these imitations that date from the ninth, tenth and eleventh centuries, starting with those of the Kievan Rus'. Recent work has established that the first coinage of the Kievan Rus', of which thirteen examples survive, was probably issued by Grand Princess Olga in c. 950 and took the form of an imitation of a Sāmānid silver dirham of Nasr bin Ahmad (913–42) to which a cross and a bird were added. The fact that the first Rus' coinage imitated an Islamic dirham is interesting, although perhaps unsurprising, given that many millions of dirhams appear to have been imported into northern and eastern Europe by the Vikings/Rus' as a result of their trade with the Islamic world (perhaps primarily involving slaves). As to the additions that were made to the dirham design, the cross is thought to represent Olga of Kiev's conversion to Christianity in perhaps the late 940s and the bird—almost certainly a falcon—the goddess Freyja, with Kovalev arguing that Olga was probably a devotee of this goddess and the supreme priestess of Freyja for the Rus' state prior to her conversion to Christianity. Another interesting example of the use of imitation Islamic coins comes from ninth-century Khazaria (aka the Khazar Khanate), which lay in the far south-east of continental Europe and had an important intermediary role in trade relations between the Islamic world and northern Europe in the early medieval period. Up until the early ninth century, the Khazars appear to have minted no coins themselves. However, a sharp decline in dirham production by the 'Abbāsid mints in the 820s altered this situation, with the Khazars starting to mint imitation dirhams in order to supplement the supply of genuine coins and so ensure that they were able to continue to attract Rus' merchants to their domain, as the latter were said to only accepted silver dirhams in exchange for their goods. The first of these Khazar issues were straightforward imitations of 'Abbāsid dirhams, but in 837/8 this changed too. 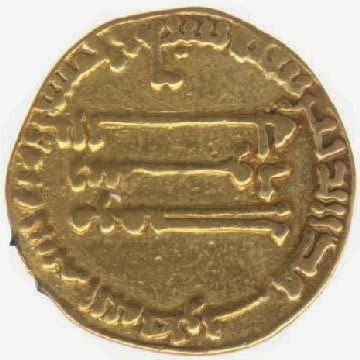 In that year, the Khazars issued a number of new imitation dirhams that were altered in significant ways, most simply through the addition of a 'tamgha' (clan identity mark) and/or a mint name Arḍ al-Khazar ('Land of the Khazars'), and more dramatically on some coins through the addition of an Arabic line reading Mūsā rasūl Allāh, 'Moses is the Apostle/Messenger of God'. These messages are considered to have been added to the coins in the immediate wake of a Khazar coup d'état and the conversion of the Khazar elite to Judaism, with the aim of asserting Khazar and Turkic identity and 'undoing' inscriptions on regular dirhams that referred to Muhammad, affirming instead the tenets of Judaism. In this context, it is worth noting that such profoundly modified issues do not seem to have been issued after 837/8—subsequent Khazar imitation dirhams did include alterations, including marginal legends of tamgha-like signs (see below), but there were no such overt political-religious statements as are found on the 837/8 issues. Finally, western Europe from the later tenth century saw a number of Christian rulers in southern Italy and Spain start to issue imitation gold dinars. 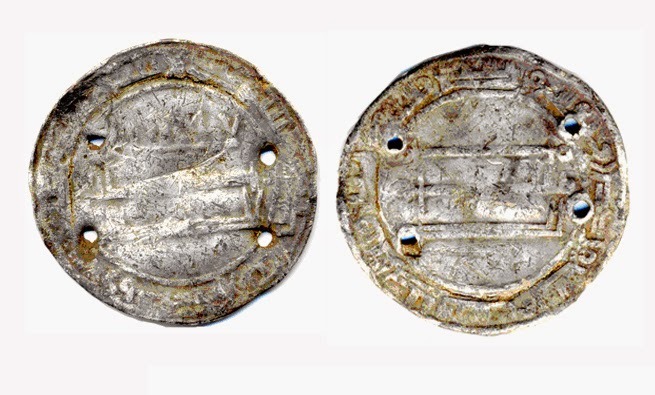 For example, the quarter dinars issued by the Fatimid rulers of Muslim Sicily were popular on the Italian mainland and known there as tari or tareni (probably from an Arabic term meaning 'freshly minted'). In response to this, it appears that from the mid-tenth century the Christian princes of Salerno in southern Italy started to issue their own imitation tari with pseudo-Arabic inscriptions, with the rulers of Amalfi following suite by the end of the century too. 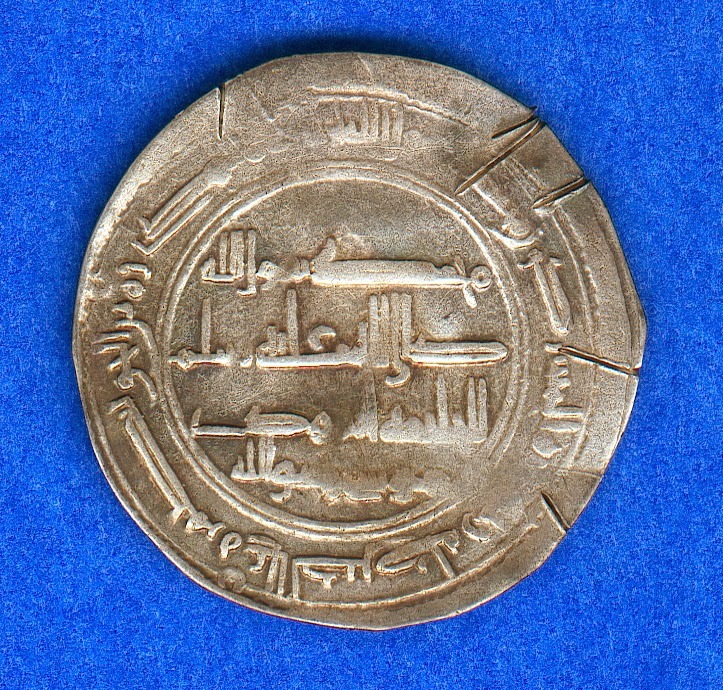 Such imitation tari seem to have been issued with trade in mind and circulated alongside genuine Fatimid quarter dinars in southern Italy, and when the Normans conquered Salerno and Palermo (Sicily) in the eleventh century, they continued to mint coins of this type and retained their Arabic inscriptions to satisfy the requirements of trade. There were, however, alterations made to the southern Italian and Sicilian coins under the Normans. For instance, after 1085 Roger I added a form of Christian cross to the front of his coins and after 1112 Roger II dropped the second half of the Muslim profession of faith from his Sicilian tari, leaving only 'There is no God but God', with further Christian elements added over time and the Muslim profession of faith dropped entirely after 1132. Similarly, the tari of Salerno saw changes after 1130, both in terms of their design and the fact that their Arabic inscriptions became, for the first time, correct and legible. The content of this post and page, including any original illustrations, is Copyright © Caitlin R. Green, 2015, All Rights Reserved. Non-original images used here are sourced from a number of places; if there are any objections to me using these pictures in this post, please contact me and I will remove them.